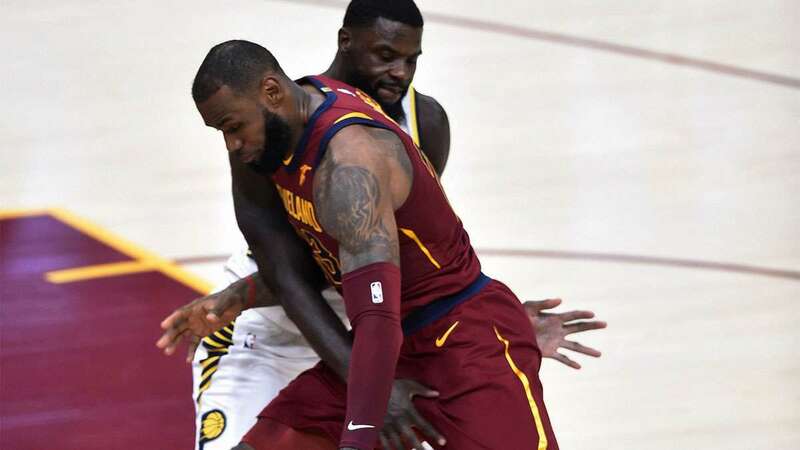 Lance Stephenson is at it again with his on-court antics against LeBron James. The two players, who share a long history of run-ins, met when the Cleveland Cavaliers faced the Indiana Pacers at the Quicken Loans Arena. The altercation occurred when Stephenson apparently hit James below the belt while the latter was driving hard to the basket. Officials slapped Stephenson with a flagrant foul-1 for the move. Meanwhile, James was still able to finish with 33 points despite going down but this wasn’t enough to lift the Cavs squad past the Pacers, who dominated them 124-107, which led to their fifth loss of the season. If all this seems familiar it’s because you’re actually right. Stephenson has had numerous brushes with other NBA players in the past, but the ones with James have become the most popular. During the 2014 Eastern Conference Finals, Stephenson got a hefty $5,000 fine after he bounced off James and performed a dramatic flop, where he stayed sprawled on the floor for quite a bit. He also crossed the line after he touched James in the mouth for apparently no reason at all. Of course, who could forget this hilarious ear-blowing moment? At least Stephenson’s latest antics were right on the money and finally resulted in a win for the Pacers.